Under OSHA (Occupational Health and Safety Act) standards, an employer is responsible for the health and safety of its employees in the workplace. Training of employees on rack safety can significantly lower the number of incidents and educate workers on proper course of action when safety issues do come up. Training your workforce on safety is one of the best investments your company can make to provide a safer work environment and reduce associated liability risks. Pallet racks are an essential part of warehouses across North America. 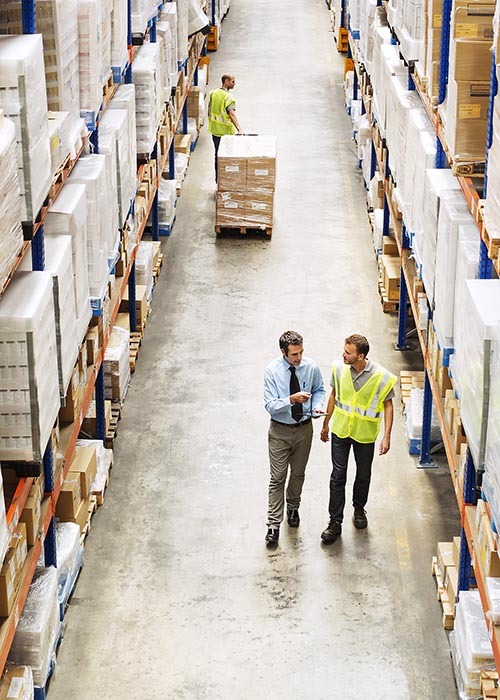 For cold environments or industries with high velocity warehouses, like the food and beverages industry, there is bound to be damage from forklift traffic. Unfortunately, the storage racks are too often neglected, damage accumulates and their structural integrity gets compromised. When employees understand the potential hazards and know the proper course of action when an event occurs, safety is drastically improved. An instructor-led classroom session on safety guidelines with slides and supporting material. A practical workshop in your warehouse on how to assess damage. 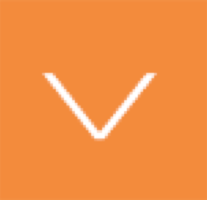 Have specific requirements or time considerations? Our training sessions can be tailored to your needs. A safe warehouse is good for everyone. It reduces stress for managers and floor employees and is likely to increase productivity. Training sessions are given by professional engineers with many years of experience running conformity inspections for Fortune 500 companies. When employees are knowledgeable about pallet rack safety, they are better equipped and more likely to take proper action when damage occurs. Rack safety training is an integral part of any rack safety program. 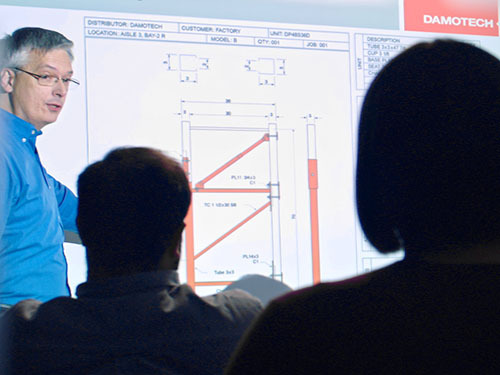 Along with safety inspections, training demonstrates a company's dedication to its employees' well-being and reduces the risk of potential liabilities. Our engineers will travel anywhere in Canada and the U.S., including Puerto Rico, Hawaii, Alaska to train your employees on rack safety. 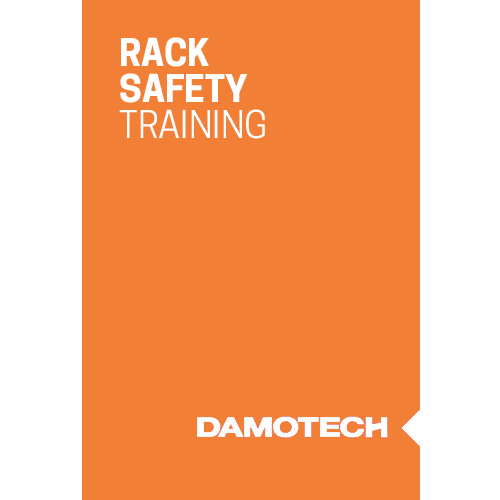 Hundreds of small, medium and large corporations trust Damotech as their preferred rack safety partner. Who should attend training on rack safety? Our training is typically aimed at warehouse employees, managers, maintenance personnel and forklift drivers. Will I become a certified inspector after taking this course? No, becoming an inspector would require more hours of training and certification. But you will be knowledgeable enough to assess most rack deficiencies and take proper actions to address them. Is this a course for forklift drivers? Yes, but it is also suited for executives, managers and warehouse workers. What body of standards does your training program comply to? The training is based on the American and Canadian rack design codes as well as the industry’s best practices. Will you travel anywhere in North America to train my employees? We cover all of Canada and the US including Alaska, Hawaï and Puerto Rico. Can you also train my employees on repairing damaged racks? Damotech does provide such training for national account clients that have dedicated rack maintenance crews. Contact us for more information. Want to learn more about rack safety training for your employees?